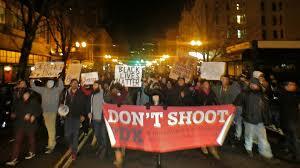 Race has become a conversation that Portland seems unwilling to meaningfully engage in. Nothing makes this city an anomaly; we follow in the footsteps of our fellow Americans-- we are unable to discuss race and race relations effectively. Being black in Portland is a mythical, abstract concept. To inhabit a space that constitutionally outlawed your presence within its borders, is a bold and unmatched state of being. Three generations later, not only has my grandfather, mother and I lived here, but we have thrived. Even given this city’s perception of being a liberal utopia, we thrived. We are Oregonians through and through. But, we are black Oregonians. A rare combination that was never meant to exist. There comes a time in the teenage life where one begins to contemplate their identity-- not only of themselves but of the world around them. Up until this point, they have been shaped and molded in the likeness of their parent’s or guardian’s values, perspective,and ideals. Coupled with the circumstances of one’s environment, there is a constant strife to carve out a place for yourself, in thought, action, belief or character. Seemingly, there is either a deviation from the ideology garnered from these varied influences, or a complete submission to become a product of the lessons or examples presented from these influences. Ultimately the two options of life choices, creates an opportunity to subjectively choose the needed aspects of parental influence and environmental influence, whether it be positive or negative. This is the reality of teenage contemplation-- a decision to be or not to be, or to sometimes be. While I lie at this cross section--of trying to figure out who I am, how much of my identity is my own or a reflection of what I have been taught--my identity as a black person is the most challenged. My entire life has been a constant quest to understand my relation to the continual statement, “you are so white.” From the inception of my minute understanding of race, social conditioning and stereotypes, I quickly made it clear to myself I would not be what I was told I should be. Within my own family, there is such a richness in the display and embodiment of the black identity. Professionals, criminals, doctors, lawyers, 7-Eleven clerks, drug addicts, single parents, business owners, two parent households, a family of people from all walks of life. A spectrum of color, career, language, experience, gender roles, class and sexuality. All ways, types and kinds of black were within my immediate reach. To have an identity and background that is not monolithic or connected to one generalized stigmatized archetype is a rarity in minority communities. Yet, as I left and even remained within the confines of familial interaction, I was told that the way I was black, somehow was incorrect. The ‘white’ things of shopping at organic grocery stores, running cross country, listening to alternative music-- everything blacks are told is not for them. Somehow these actions and characteristics were unblack. Despite my strength in myself, I found that insecurity began to form, constructing barriers between myself and myself. Again I was presented with this contemplation of further removing myself from toxic black stereotypes or giving fully into the pressure of both whites and blacks to act accordingly to a black that was more palatable for society. Growing up in Portland establishes early on, very few ways to exist as a black person. Therefore, young black boys like me don’t see people who look like me on City Council, on the local news, at the grocery store, walking down the street. How can one aspire to be something, they can’t see? Black families are further behind white families and black families nationally, in regards to employment, high school graduation rates and health. There aren’t that many blacks here for a reason. Blacks are imprisoned more in Oregon than the national average, with the black population of Oregon at only 1.8%, one and 21 black men are in prison. This year’s stabbing of two men on the city’s, Metropolitan Area Xpress light rail. Throughout most of the 1900s, black people got loans at ⅙ the rate of all loans. This is no coincidence. 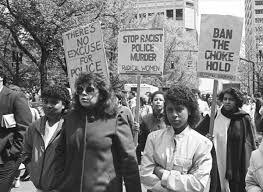 The systems that exist in this state, have since the inception of this territory entering the Union, have been specifically created to exclude and outright ignore the existence of blacks. Given this history, how could any black person find their identity, living in a city that presents a community of few to none blacks, who have largely fallen victim to policies set in place to institutionalize their bodies. The concept of being black in Portland holds a substantial take in defying every aspect of Oregon history. Being black in Portland is much deeper than being one of the 1.8% of blacks who live in the state, it is recognizing the root of that statistic. Realizing, our place here was never meant to be. That our identity and who we are is valid in every, simply because we are here. It seems there is truly no hope for finding my identity. Hopelessly scrambling to pick myself up left and right, it seems impossible to be black in this city, this state, this region, this country. Black people are not given the opportunity to even have an identity or contemplate what it means to be this or that, because we are trying to figure out what it means to be alive. I am black, black in its usage of a word to describe a movement-- black power, young, gifted and black, black feminism. It is a word that I can attribute to myself. It has a meaning, a strength and when you hear it, you will remember it. In complete contrast, the word that is made synonymous with black is African-American. African-American is a dichotomy. Two things that can never coexist. An identity I can never claim. Politicians that protect these impossibilities. Policies that created this impossibility. Police that enforce this impossibility. Media that conditions these impossibilities. People who believe this impossibility. As I see my own family creating a sense of making the most of what they have been given, I realize my own inherent privilege. My entire life I have had the access to everything that I need and more. My own family is one of the longest residents of the newest wave of homebuyers in our northeast Portland neighborhood of Concordia. In the last 20 to 25 years, the faces that use to greet us--as we drove through our neighborhood, as I went on runs and when the sun made its occasional appearance-- have lost their tan, becoming whiter and whiter. Yet, even in defying the socioeconomic stigmas and limitations perceived among black families, my mother’s own success has been challenged or constrained to her identity as a black woman, in a position and field dominated by her white counterparts. My father is forced to navigate work environments threatened by his large, black presence. In every area of American life, there is no true way to escape the constant bombardment of racialized oppression. Being black is not acceptable in any form. Claims that economic prosperity would end racism are truly false, no matter the amount of money, a black person earns, they still face immense racism and discrimination. Clearly, it becomes the responsibility of the oppressed to fix the conditions created by the oppressor. There is nothing even remotely fair about this situation, but it is the most realistic of any options available. That is why, given the intentionality, and small success, of destroying the black community, black people universally must come together to form a network that transcended any influence or border. A network that worked relentlessly and in unison to combat racism on all levels of the social sphere. With leadership within our country and the spread of white nationalism creating fear, the time to act is more necessary than ever. My own identity as a black man has caused an increasing amount of fear about my safety, which is nothing new in this city, simply by just being black and alive. This is not a complaint, this is history. I am sharing my experience and the experiences of hundreds or thousands of people of color in this state. This is an opportunity to actively work to combat and discuss these issues. Nothing can change unless we listen. When time has passed and the present crosses to the future, what will be said of your contribution to making your immediate surroundings, more receptive to black and brown bodies? How will you disrupt racist ideology?